Greed is good, and the infamous haircut from 1987’s Wall Street is making a comeback. 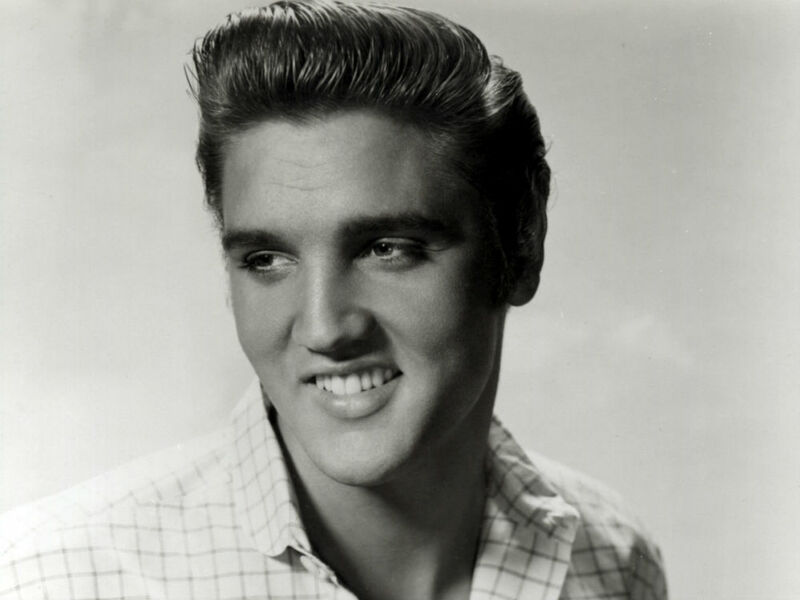 Before the likes of James Dean and Elvis Presley, the slickback style came into fashion in the 1940s. High-and-tight flattops weren’t quite the show of conservatism they would soon become, and the slickback haircut was about as conservative-while-fashionable as men would get. Center-parted hair was considered “feminine,” and though the amount of pomade required ruined their hats, the haircut lingered until Wall Street brought Michael Douglas’ finance king Gordon Gekko into pop culture. Since then, actual Wall Street bros have co-opted the look, in addition to lifestyle influencers and actors who often play the part of powerful banker types. You’ve seen it on Scott Caan, Scott Disick, Andy Garcia and the brothers Trump, America’s No. 1 big boys (along with their SNL counterparts). So while we’re living in an era of unrivaled class disparity, where the richest 1 percent of households own more wealth than the bottom 90 percent combined, a haircut that projects money and power seems to be popping up over and over. Are the two connected? I asked barbers, a few guys rocking the slickback themselves, and even Wall Street’s costume designer — the woman who gave Gordon Gekko the Gordon Gekko. Wall Street guys did not look like Gekko. 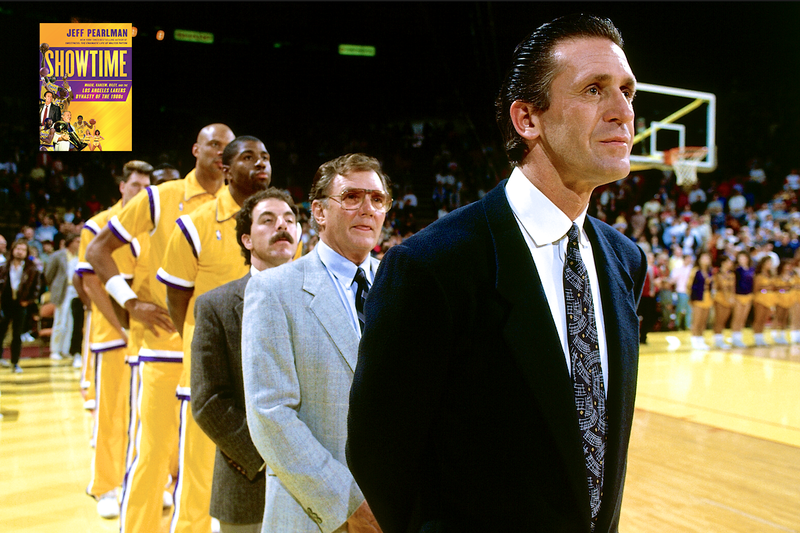 The haircut was actually inspired by Pat Riley, the winning coach of the L.A. Lakers at the time. He exuded power and elegance. I don’t remember Michael Douglas having a difficult time maintaining the style during shooting, but I’d say the style itself became popular because it was fresh look that exuded power, money and seduction. Gordon Gekko became a noun because men of all ages wanted to be him. I don’t know if the “The Gekko” will ever be as popular, but I do think all men want to look powerful! The “slickback” “pompadour” looks are absolutely coming back into style. I’ve seen a lot of them lately. Most clients of mine who rock a style like this come from families with money, since it portrays class and wealth (not all, but most). From what I can tell, a lot of men’s hairstyles originate from European soccer players, then make their way over to us in the States. As soon as guys like Scott Disick and G-Eazy started rocking these cuts, it helped the style blow up even more. So it’s definitely more of a young man’s (18 to 30) type of style from what I’ve witnessed, especially for guys who care less about the style and just want something clean and easy to maintain. That said, it’s a challenging haircut to perfect, and even more so in styling it each day. You need the right products (pomade/sea-salt sprays/etc. ), and a lot of blow-drying. Gordon Gekko has had some influence on me, but to be honest, it was a style I’ve always loved. I just needed the patience for my hair to grow so I can be able to slick it back. The whole process of drying up your hair, styling it and making sure it doesn’t fly around throughout the day is annoying, but eventually, I decided to stick to it and grow my hair longer. I’ve loved it ever since. It makes me feel more dominant — after all, a man’s hair is what makeup is for a female. I’m glad it’s coming back into style. It should’ve never left, if you ask me. Over the last few years, men’s styles in general have become longer. Guys are still getting fades and side parts, but when a guy comes in asking for a longer style, they’re usually not quite sure how to describe it. I always use the American Psycho reference and call it the “Patrick Bateman,” because people who didn’t grow up knowing Gordon Gekko may know Christian Bale’s character. Generally you see this style with guys who are in their late 20s and thus becoming more of a laid-back style, but it depends on how you wear it. If done correctly, it should be a maintenance-free style. A good haircut should do everything on its own. Product is just to hold down flyaways. I would say it’s a clean look. I’ve always had longer hair growing up, and it was just a simple way to keep it outta my eyes for school and events. It kinda looks badass too — it’s a classic look that portrays power and sophistication if worn properly. I don’t really know if it’s coming back into style or what, but I think some people are drawn to it because of the message they might think it sends now. It’s a staple. I will say the hardest part is upkeep and picking the right product. I’ve been on and off brands, and different people like different things. There’s no right answer. But once you find one that works for you, it’s a pretty easy maintenance. If you like your hair longer but want something that’s low-maintenance, this is the cut for you. Your barber can transition you from your side part (because that’s what you probably have right now), in two or three cuts. In the end, the top should be symmetrically cut so no errant pieces stick out and make you look like a tool. The more length up top, the better. The longer it is, the more weight you’ll have and easier it’ll be to lay down. Thus, the slickback is worn by guys of all stripes. For a more severe or Classic Gordon Gekko look, heavy pomade with shine will give you that finance-bro vibe. For a looser, brunch-and-farmers-market feel, a light paste or clay will give you a more accessible look. The “slickback” or slamback or pushback is one of the traditional standbys of barbering. While it’s taken on different looks over the decades, it’s never truly gone away. Today’s resurgence can probably be attributed to its simplicity. Compared to the side part, the slickback requires virtually little maintenance. There’s no part to find; just slam it back. Gordon Gekko is an iconic figure that every person in finance or sales looks up to. So in short, yes, his haircut did influence my adoption of it. That said, everything about Gekko makes him portray power and success, so his haircut represents class more than anything. When I first started barbering six years ago, the slickback was one of the main haircuts I would do, then it faded away, and now in the past year, I’ve seen it start to make a comeback as the classic slickback we all know, along with creative elements used to modernize it — mostly, for me, among younger university students. As a barber, it’s not too difficult to cut as long as you section the hair correctly before cutting. I find it quite fun to do to be honest. Depending on how they want it styled depends on the difficulty. If they like it quite slick and tight with comb lines shown through, it would take a bit longer than [on] someone who wears it loose and textured. And that matters, because what the style projects all depends on how you style it: If you wear it quite slick and tight, to me that would portray someone one who is quite confident and takes pride in their appearance. If you wear it lose and textured, that’s a little more easygoing, but still someone who takes pride in their appearance.